The Dassault Mirage F-1 of the ARMEE DE L'AIR (French Air Force) has been a durable air superiority fighter and attack aircraft serving over four decades of military service. Airutopia joins the 2/33 Squadron in Mont-de-Marsan Air Force Base in France with coverage of the F-1 including exclusive footage of the war in Mali and flights over Africa. 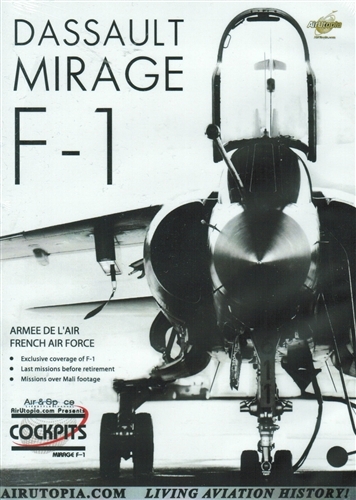 Join the latest war against terror with the last military missions of the Mirage F-1 before retirement in 2014! Run time is about 55 minutes. Format is NTSC DVD and region-free.